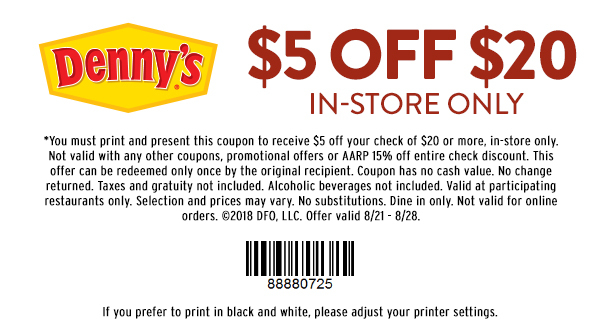 Calling all Denny's fans! You can save $5 Off your Purchase of $20 or More in-store only, through August 24, 2018. Simply print this coupon then present it to your server or cashier to receive $5 off your check of $20 or more. Valid at participating restaurants only.